I am happy to share my all-time favorite variety rice today. It is the Onion Rice or Vengaya Saadam as we say in Tamil. 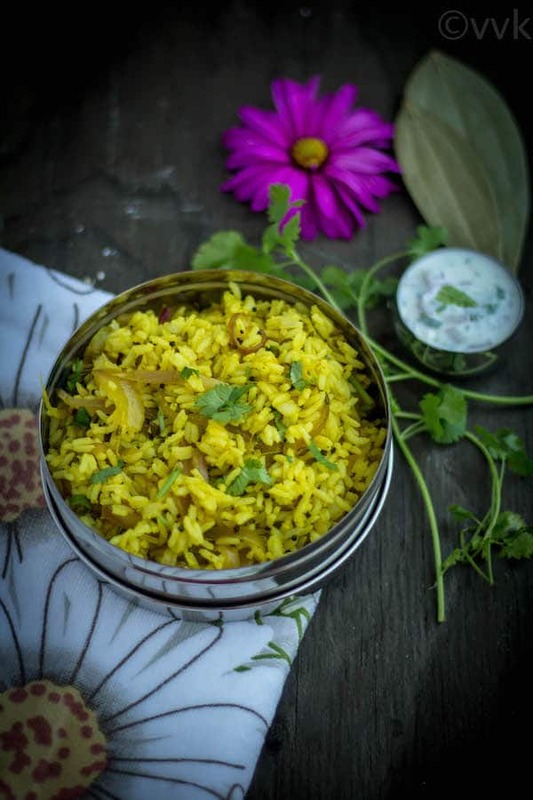 A simple rice recipe prepared with onion and flavored with fennel seeds and garam masala. 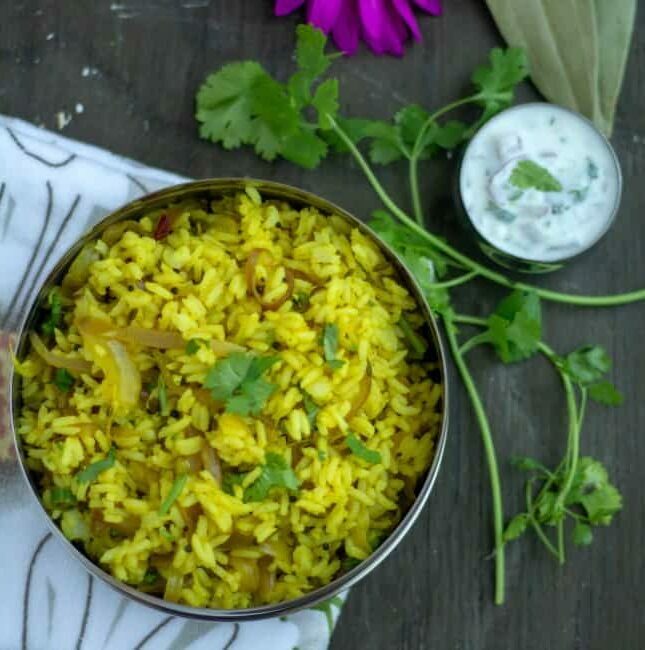 Check out the detailed onion rice recipe with the video here. 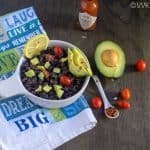 I want to thank my mom for sharing this easy peasy rice recipe. I remember carrying it on my lunch box, and now the onion rice saga continues. I still take it on my lunch box so does my husband and my son. We all love this simple rice that it needs only minimal spices and ingredients. 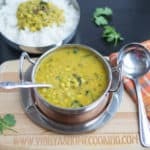 The fennel seeds add all the magic and flavor to this rice. We need 2 tbsps of fennel for 1 cup of uncooked rice. I might sound a lot, but please do not skip that. I am sure you will love the flavor. But care should be taken while frying the fennel seeds. 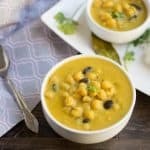 If the oil is too hot and if you cook for a long time, it might taste bitter. So always temper fennel seeds over medium-low heat. You can use leftover rice for this recipe, but I went with freshly made for today. Ensure the rice is cooled down completely. If I am packing for lunch, I make the rice overnight and allow it to cool. And in the morning I prepare the simple onion masala and mix the rice. That’s it. This onion rice is perfect for any day. 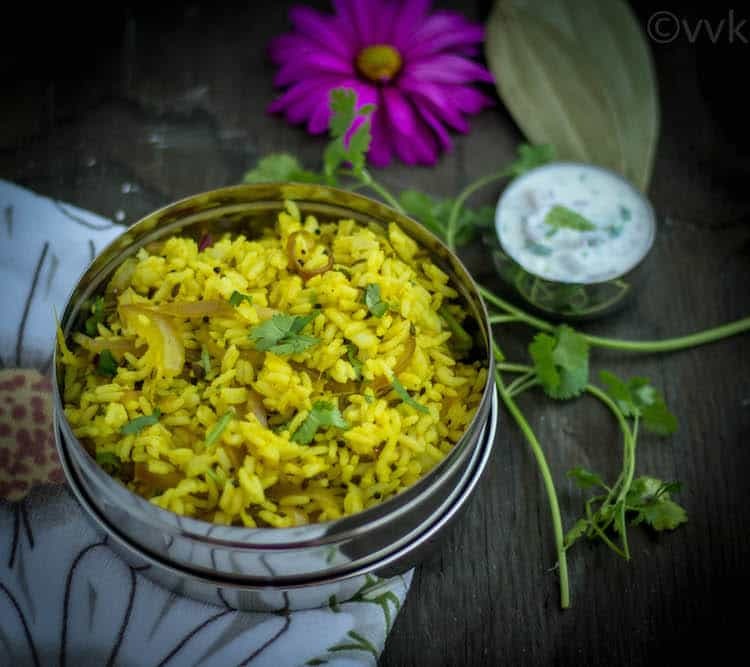 When you are running out of vegetables or when the time is pressing, you can prepare this rice quickly. I made a quick video also. As the video had some external noise (still learning video), I had to make it as a tasty-style video. Here is my onion rice recipe under the variety rice meal plan. Please do subscribe to my channel and share your feedback. Cook the rice by adding two cups of water in your preferred way. You can use leftover rice also. When the oil is hot, add the mustard seeds and fennel seeds. Saute for a minute and then add the chopped green chilies and the bay leaf. Fry for 30 seconds and then add the onion, followed by garam masala and turmeric powder. Mix well and then add the salt. Turn off the heat and add the rice. Mix thoroughly without any lumps. Then add the chopped cilantro. 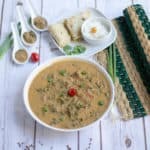 Mix well and serve it hot with onion raita or your favorite raita. You can use any rice variety, be it sona masoori or basmati. Also, adjust the salt and spices according to your preference. 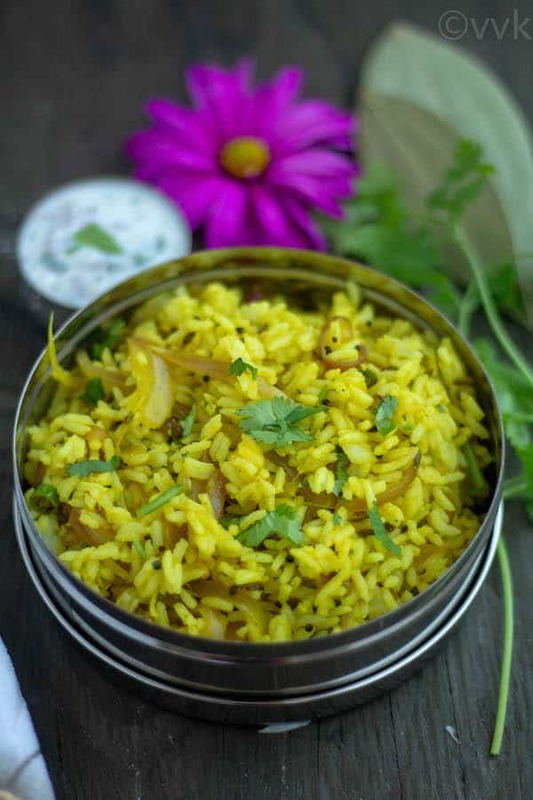 A simple rice recipe prepared with onion and flavored with fennel seeds and garam masala.